This class trains civilian bystanders and medical personnel alike to respond in emergency situations with bleeding control until first responders arrive. Uncontrolled bleeding can lead to death. In this class, you will learn how to safely and properly apply a tourniquet when necessary until further treatment can be obtained. 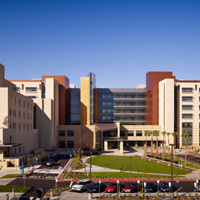 Classes are taught in a “train the trainer” style by UC Irvine Health physicians, nurses and staff. Registration is required.